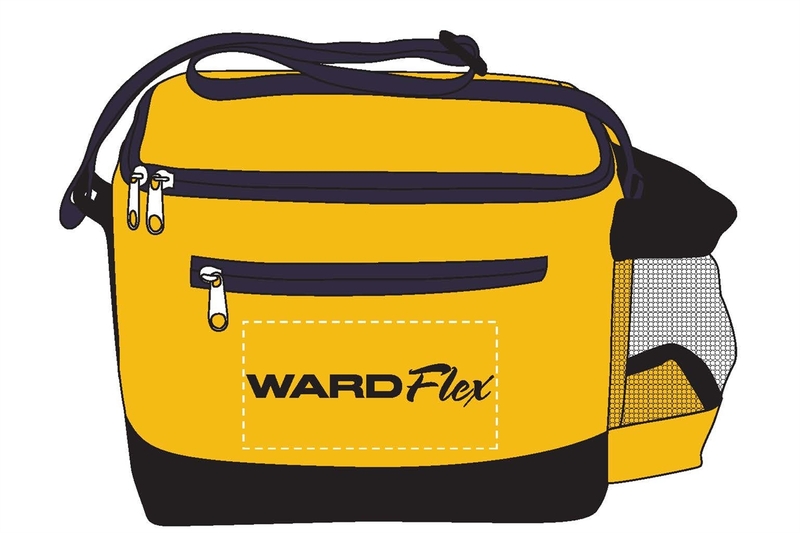 Yellow cooler with WardFlex logo. Campfire Mug, 15 oz. Sunglasses 6' WardFlex Table Throw Max Glide Tropical Pens, 50 pc. Ward MFG OGIO Backpack Clic Stick Pens, 50 pc 6' Ward Manufacturing Table Throw Mouse Pad, 6" x 8"